"Insights, Errors and Self-Misconceptions of the Theory of Principles"
"Norm Enactment and Performative Contradictions"
In this paper we investigate the role of performative contradictions in legal discourse. First of all we identify the argumentative roles of performative contradictions and two possible interpretations of them. With this done, we show that one use of performative contradictions can be fruitfully applied in analysing normative speech acts implementing norm enactment, namely, those speech acts that are designed to produce new legal norms. We conclude the paper by showing that our analysis provides strong support for Robert Alexy's claim-to-correctness thesis, according to which speech acts of the norm-enacting kind raise a claim to correctness. "Karl Olivecrona on Judicial Law-Making"
The Scandinavian Realist Karl Olivecrona did not pay much attention to questions of legal reasoning in his many works. He did, however, argue that courts necessarily create law when deciding a case. The reason, he explained, is that judges must evaluate issues of fact or law in order to decide a case, and that evaluations are not objective. Olivecrona's line of argument is problematic, however. The problem is that Olivecrona uses the term “evaluation” in a sense that is broad enough to cover not only evaluations, including moral evaluations, but also considerations that are not evaluations at all, and therefore his claim that judges must evaluate issues of law or fact in order to decide whether a case is false. "The a Simili Argument: An Inferentialist Setting"
The A Simili Argument draws the conclusion that a target case has a normative property Q since it shares a relevant property P with a source case. It can be seen as a complex inference constituted by three inferential steps: An abduction of the relevant property P, an induction of the class having that property, and a deduction of the target's having property Q. A major problem of this argument is the characterization of the property relevance. The standard answer refers to the notion of ratio: It is the ratio that fixes what is relevant for what. But the determination of the ratio is often a difficult and controversial task. This issue is considered here from an inferentialist point of view, claiming that the ratio and relevance are determined by the normative statuses reciprocally attributed by the speakers in the context of legal argumentation. "*Habermas and Ackerman: A Synthesis Applied to the Legitimation and Codification of Legal Norms"
In this article we consider certain elements of the normative theory of Jürgen Habermas in the light of the proposals of Bruce Ackerman, with a view to strengthening a concept of deliberative democracy applied to the legitimation of juridical rules. We do not construct a hierarchy of the two positions, but seek to bring together certain elements to achieve a common project. As the starting point for examining the work of the two authors, we take the scheme proposed by Habermas in Faktizität und Geltung. In this connection, through the work of Ackerman, we intend to fill in some of the gaps that Habermas appears to have left in the theory of radical democracy applied to the law. The work of Ackerman can make a significant contribution to deliberative democracy, to the discourse principle that Habermas defines, and to the contractualist theories from a liberal perspective. 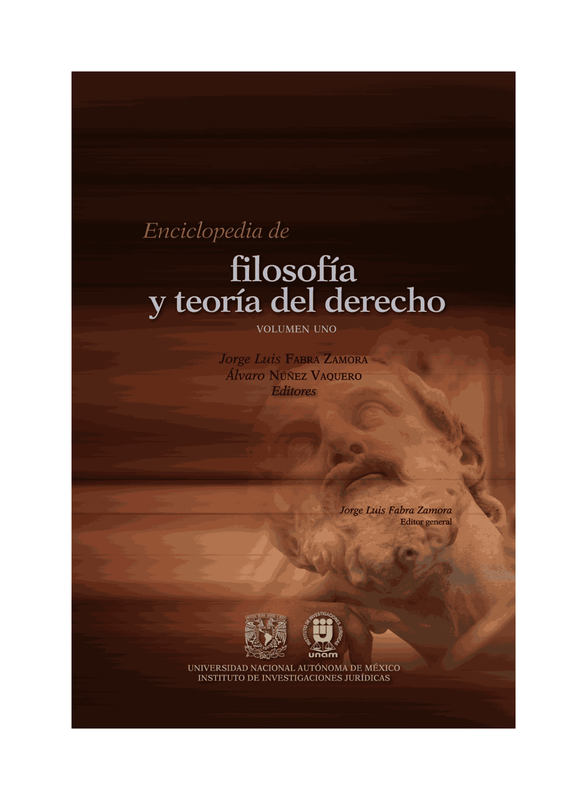 The study of these contributions makes possible a critical judgment that enables the legitimation of juridical rules carried out by Habermas to acquire greater practicity. In examining the epistemological status of juridical science and law, we attempt to determine the weight and the performance of normative democracy. In Tarr's view, it is a matter for philosophers to examine direct democracy and its desirability.